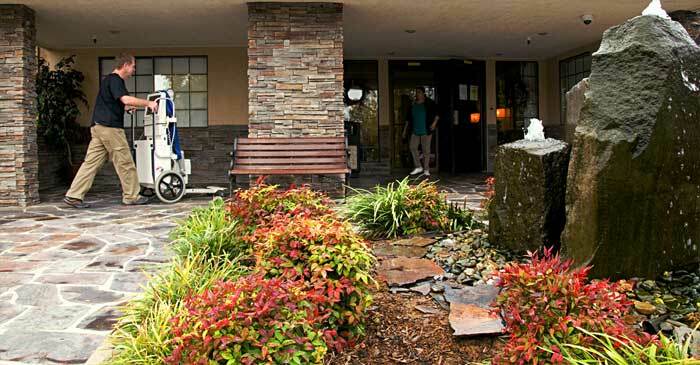 Redding Portable X-Ray & EKG provides diagnostic X-Rays and EKGs in private home as well as convalescent hospitals. 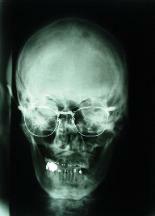 All X-Rays are read by a board certified Radiologist. We accept assignment on all medicare and Medi-Cal claims and we are contracted with most insurance plans. Our Portable X-Ray equipment is the latest and state-of-the-art. Our machine is the only digital X-Ray unit of its kind on the west coast. It utilizes the CXDI-50G Portable Digital Radiography flat panel detector which produces a superior image using approximately half the radiation dose of "CR" digital X-Ray machines. With this panel we get an instant image on the screen. Our EKG machine is a Nihon Kohden EKG, which produces an 8x10 EKG with a computer interpretation. This interpretation can be over-read by a cardiologist. The EKG is faxed to the ordering doctor and is also available on our PACs. Is there room in the patients home? Our X-Ray machines are 25" wide - so doorways and pathways in the home must be wide enough. If the exam is a hip, spine or abdomen X-Ray, the patient must be lying down. We cannot X-Ray a patient in a waterbed. Chest X-Rays and most extremities may be facilitated while the patient is sitting in a chair. We can take our machines up small flights with only a few stairs. We cannot transport up a larger flight of stairs. For our convenience and if at all possible, avoid clothes or bras with snaps and/or buttons. We have a PACS system that is fast and easy to use to view your X-Rays and EKGs online. The X-Rays can be magnified, measured, printed and viewed in various formats. Call us and we we will be happy to give a demonstration on how well the X-Rays look and how easy it is to view them.